St.G 77 (Sturzkampfgeschwader 77) Formed 1.5.39 in Breslau-Schöngarten from Stab/St.G165. A Stabs-Staffel existed 2.41 - 5.43. later on 18.10.43 became Stab/SG77 (Schlachtgeschwader 77). Sturzkampfgeschwader 77 was formed on 1 May 1939, I. Group in Brieg, Stab and II. Group in Breslau-Schöngarten (today Copernicus Airport Wroclaw). The III. Group was formed from II. Group of Kampfgeschwader 76 on 9 July 1940. Stab, I and II./StG 77 first saw action in the Polish campaign attacking enemy positions at Lublinitz and Wielun on the very first day. After the campaign ended The Geschwader transferred to the Luftflotte 3 in the west for the preparation of the invasion of France. From May 1940 StG 77 were heavily involved in tactical support of the land campaign as part of VIII. Fliegerkorps. The unit was involved in the attack on Belgium and the Low Countries, commencing with a series of raids supporting the paratroop attack on the fortress at Eben Emael The unit also contributed to the Battle of Sedan, which was critical in the fall of France in 1940. Often flying 6 or 7 missions a day, StG 77 flew a series of shuttle missions bombing fortifications, lines of communication, troop concentrations and defence works, rapidly moving from one airfield to another as the Army advanced through the Netherlands and Northern Belgium. 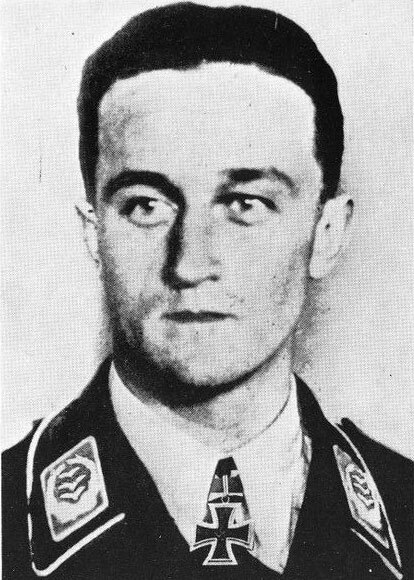 Losses were relatively light, however Kommodore Oberst Günther Schwartzkopff was killed by French AA fire on 15 May leading a bombing attack over Sedan. The latter part of May saw operations over France, with raids against Saint Quentin, Calais, and the Dunkirk perimeter. By 18 June StG 77 had supported the crossings at the rivers Marne, Seine and Loire. 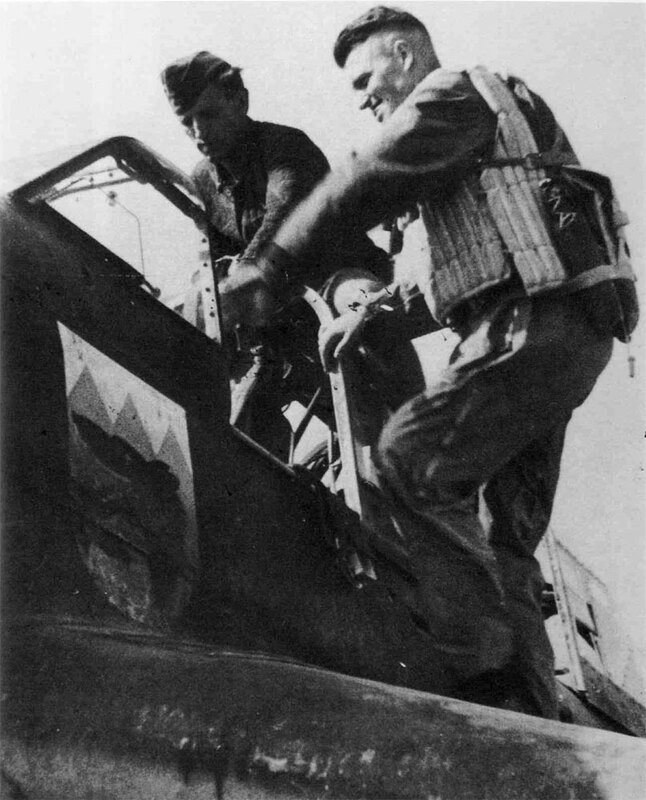 Based in the Cherbourg area, StG 77 then participated in early part of the Battle of Britain, suffering high losses in machines and experienced leaders. Commencing with a raid on shipping on 9 July 1940, StG 77 lost I gruppe Gruppenkommandeur Hpt. Fr. Daligk zu Lichtenfels to Spitfires of No 609 Squadron. Hpt. 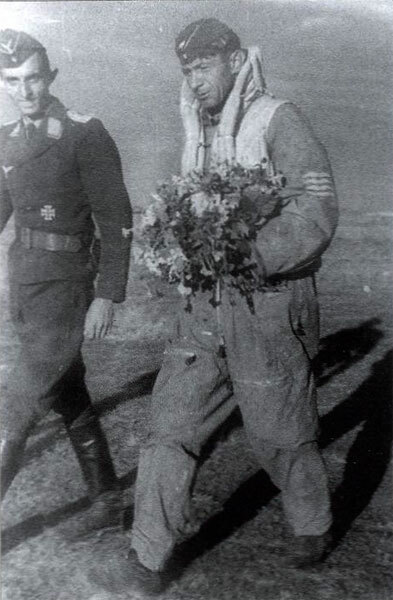 Waldemar Plewig was shot down and taken prisoner on 8 August, while on 18 August 1940, 10 Stukas of I./ StG 77 were lost in an attack on Thorney Island, and a further 6 were damaged. After participation in the Balkans campaigns of spring 1941, StG 77 formed part of the attack against the Soviet Union in June 1941, and supported the Army Group Centre as part of II. Fliegerkorps. Relocating into the Southern Front in November 1941, StG77 then flew supporting Army Group South. In December II. Gruppe was sent for refitting to Krakow. During 1942 StG77, as part of VIII. Fliegerkorps, supported ground actions on the at the Sevastopol front and later, units took part in the Second Battle of Kharkov. By September 1942, III./StG 77 was subordinate to I./StG 1 on the northern front in support of Army Group North. 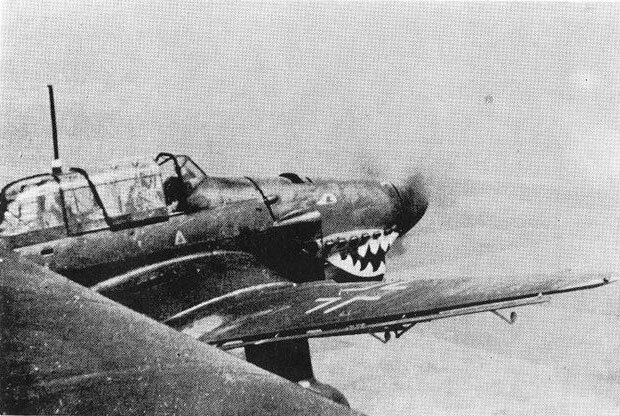 II./StG 77, under Major Kurt Huhn, was one of the main Stuka ground-attack units supporting the operations at Stalingrad. As the battle for the city intensified, so the unit moved ever closer to the city, reducing flight time and allowing more sorties every day. II. Group was redesignated as III. Group, Schlachtgeschwader 10 on 18 October 1943, the remaining groups renamed to Schlachtgeschwader 77 the same day. Formed 1 May 1939 in Breslau-Schongarten from Stab/St.G.165. A Stabs-Staffel existed Feb 1941 - May 1943. On 18 Oct 1943 became Stab/SG77. Formed Mar 1941 in Schweinfurt as Erg.Staffel/St.G.77, from parts of Erg.Staffel/VIII. Fliegerkorps. Formed 9 Mar 1943 in Wertheim with Ju 87 and DFS230 gliders. On 22 May 1943 became LS-Ausb.Staffel fur Stukaverbände (together with LS-Ausb.Kdo./St.G.1).